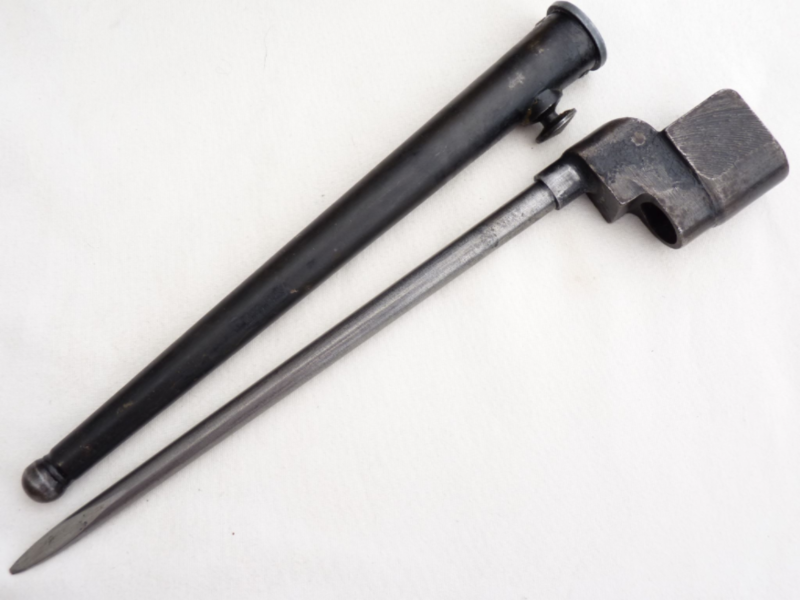 This is a British made spike bayonet for fitment to the Lee-Enfield rifle no4 and all it's marks. 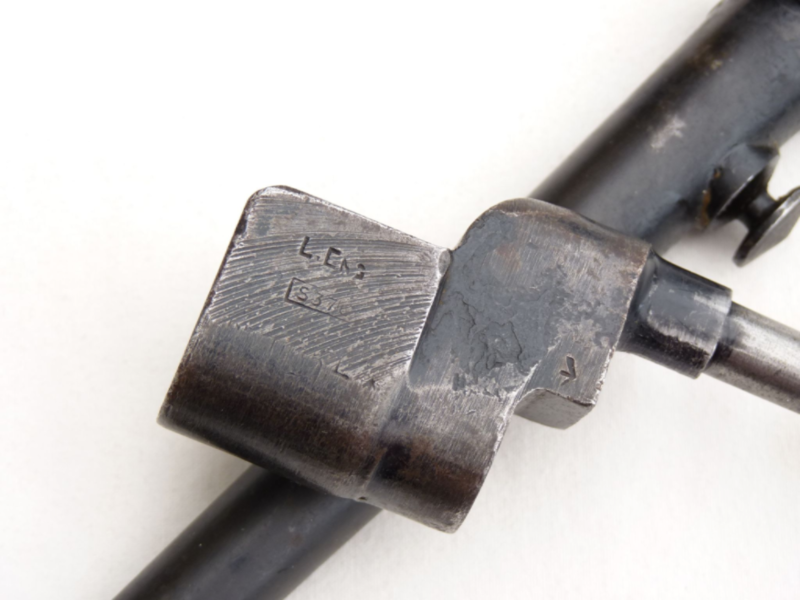 Rather gruesomely known as the 'pig-sticker', this bayonet is marked L. ENG S376 (dispersal code for Lewisham Engineering, London) No4 MkII*, though very faintly, and also broadarrow marked on the socket. 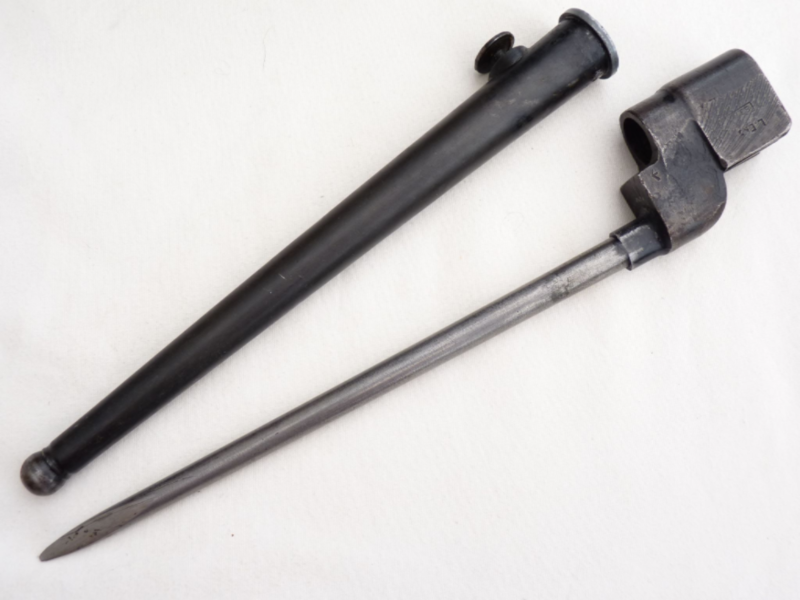 This is the rarest spike bayonet after the Mk1 cruciform, as only 85,000 were produced. 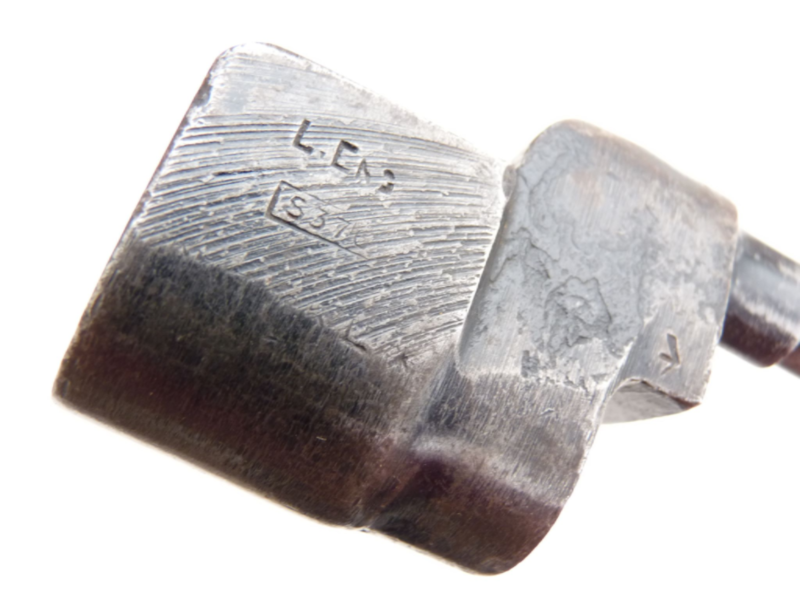 The 2*is a variant of the Mk2, the '*' suffix denoting a two piece construction with separate blade rather than one piece, to assist in speed of manufacture. 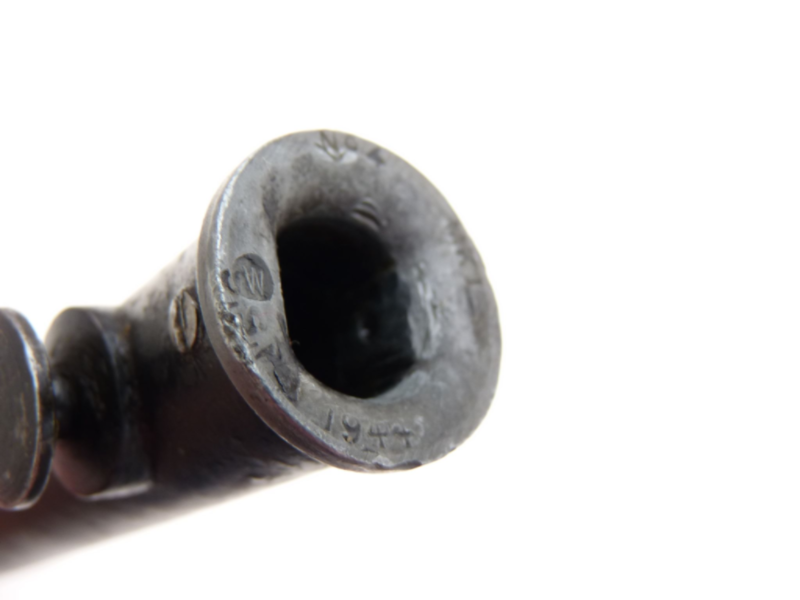 Excellent blade and point, very good undented scabbard, maker marked and dated 1944 on lip.